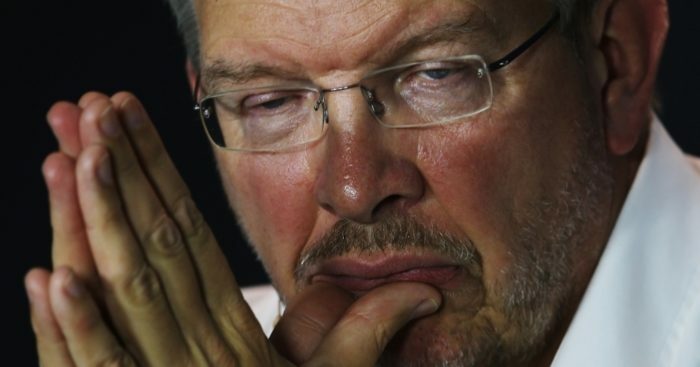 Ross Brawn has warned that it is “going to take some time” for F1’s new owners to implement solutions to the sport’s problems. Last month Formula 1 came under new ownership as Liberty Media bought the sport from CVC. Immediately there were changes at the top with Bernie Ecclestone ousted in favour of Chase Carey while Brawn was brought in as the head of motorsport. The Englishman acknowledges that Liberty Media are facing a big challenge as they look to improve the F1 show and entice viewers back to the sport. However, Brawn has warned that it won’t be a quick fix. “There are some straightforward issues that we recognise, but the solutions are going to take some time,” he told BBC 5 live. “We want to focus on making the show as good as it can be and the entertainment as good as it can be. “Gradually we’ll steer the sport into a better direction, into a better place. “You can’t change a sport as complex as Formula 1 overnight but the message is that we are fighting to make the sport as entertaining and as viable as we can. The former Mercedes team boss will meet with the teams at the Circuit de Catalunya ahead of the opening pre-season test late February.